Ten Family-Owned Shops Serving Chicago & Suburbs! Finding the right person to help set the tone for your big day is an important part of wedding planning. From outfitting your bridal party with bouquets, corsages, and boutonnieres to decorating the ceremony and reception space, it’s a given that these are probably the most flowers you’ve ever purchased at one time. To ensure all of these blooms are gorgeous and within your price range, picking the right florist for your wedding is crucial. 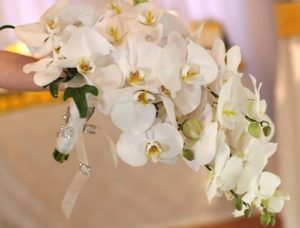 With the help of Phillip’s Flowers & Gifts, they’ll be able to bring your wedding vision to fruition with every detail. Located in the La Grange, IL. area, they’re a family-owned, full-service floral business with 10 award-winning locations that offers elegant floral arrangements for both wedding and special occasions. And these flower professionals know that choosing wedding flowers can be a tough decision. With so many different options available year-round, it can be difficult to decide which are best for your big day. With Phillip’s Flowers & Gifts at your side, you’ll be blown away by what stunning floral arrangements they can come up with based on your theme, vision, and expectations! This florist understands that communication and trust are important when it comes to your wedding flowers. They want to make your big day absolutely breathtaking, from the stylish boutonnieres for the groom and groomsmen to the elegant centerpieces and decorations that will dazzle your guests at the reception. Phillip’s aims to please the bride and groom based on their requests for color, style, shape, and price range. If you’re not planning your big day just yet, Phillip’s Flowers & Gifts also provides extravagant flower arrangements for events and special occasions too. 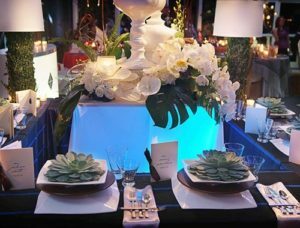 By sharing your thoughts, ideas, and wishes, this florist will be happy to design and create breathtaking centerpieces and decorations fit for you and your event or special occasion. When you want a florist that will understand your wants and needs, Phillip’s Flowers & Gifts will go above and beyond to appease their clients. So relax and leave it up to their amazing talents to create gorgeous wedding or event flower arrangements for you and your guests to enjoy! What makes your event is truly in the details. You have this vision of what you are wanting for your wedding. So, you create that vision and bring it to life through the details of your wedding. Every little one counts. One of the most important elements of your wedding is the flowers. 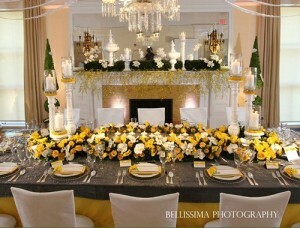 Therefore, you want a florist who understands your vision and will do everything to make it happen. If you're in the La Grange, Illinois area; Phillip's Flowers & Gifts will do just that. Phillip's Flowers & Gifts is to offer each and every customer with their finest floral design and personal service. Their mission is to operate their business with their highest integrity and respect for their customers, employees and neighbors, as well as to set an example of the value and benefits of hard work, family togetherness, integrity and free enterprise. Their shop is a family-owned, full service florist with specialities that include fresh flower arrangements for every occasion, blooming & green plants, beautiful wedding flowers, custom floral event decorations and holiday decorations. Again, flowers are such an important part of your wedding. They are within everything! From your wedding bouquet, wedding ceremony, bridesmaid bouquets to your wedding reception; these flowers will tell your wedding story. Flowers show off the style, as well as your wedding day colors. They accent your wedding venue, wedding reception and bridal gown. A beautiful white cascading wedding bouquet or an elegant all red rose bridal bouquet hand tied with white ribbon will both make a wonderful accent to your wedding dress. Also, don't forget about finding the right bridesmaid bouquets, boutonnieres and corsages that will match your wedding bouquet, yet still capture the style of your wedding. 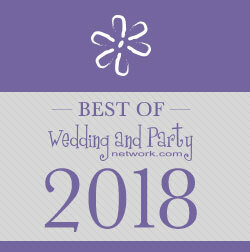 Also, don't forget about planning for your wedding ceremony and wedding reception. Let them create gorgeous arrangements that will help create your wedding day vision. You choose the style and color, let them do the rest. Everything from your wedding ceremony arrangements, reception centerpieces to the flowers on your wedding cake will accent your wedding to help tell your story. If you're not planning a wedding, they also design gorgeous event flowers or floral arrangements to send. Again, just tell them exactly what you are wanting and they will design an arrangement fit for your event or that special recipient. No matter what your style, they'll design beautiful flowers for you each and every time. When wanting to find a florist who understands your vision and will always go above and beyond at creating exquisite flowers; choose Phillip's Flowers & Gifts. 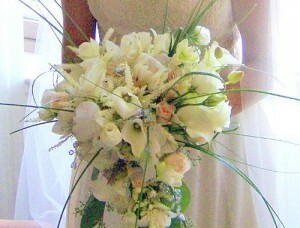 Their skilled and friendly staff cannot wait to help you plan your wedding and send flowers.